Provides a list of underutilized RDS, EC2 instances, lists unused elastic IPs, EBS volumes & load-balancers. 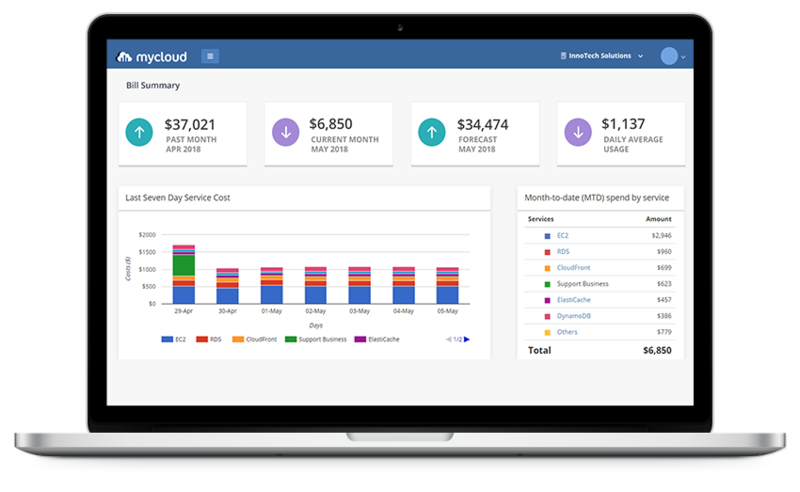 It also provides purchase recommendations with cloud discounting options. Identifies all zombie instances by breaking down the hourly CPU utilization in 5 different buckets and recommending ways for downsizing. Highlights RDS instances & S3 buckets which are unrestricted and publicly available. Alerts on publicly exposed dangerous ports, IAM keys ageing more than 90 days, EBS volumes without snapshots and the list of RDS instances without automated backups enabled. MyCloud sends daily email notifications to users in case of an outage or degraded performance. 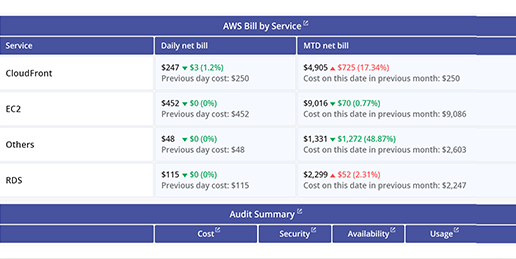 It also sends a daily summary of your AWS spend and account health. Wish to see your AWS account specific analytics?